I am a self-taught artist with over 20 years of painting experience. I began painting on a regular basis as a way to relieve stress and help with my epilepsy. Around the same time I got the idea to start doing kid's classes and parties after my son asked for a painting birthday party in January 2012. Word spread quickly and soon I was doing adult parties and classes as well. 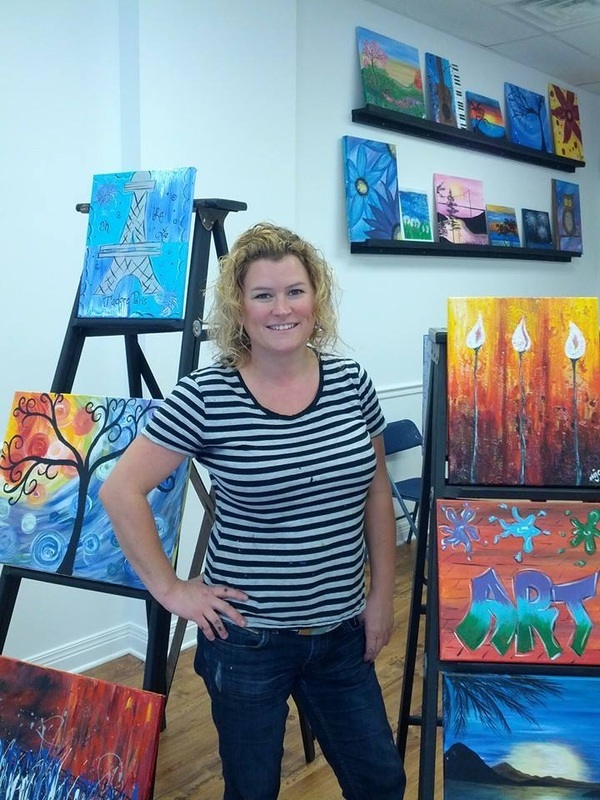 In September 2014 I took the next step and opened up my art studio and gift shop in downtown Danville, on the square. It was a lot of fun, having my own retail space, but at the same time, it was very stressful and I wasn't having as much fun as an artist as I was when I had no overhead. So at the end of 2016 I moved my studio back home. I am so happy to be back home and so inspired to create and continue to pursue my art dreams. I still enjoy doing paint parties and private lessons. I'm passionate about the healing & therapeutic values of art. My goal with each student is to let them express themselves by giving color choices and other options. I want to teach you how to create something all your own. Contact me if you're interested in creative fun!